VIA! 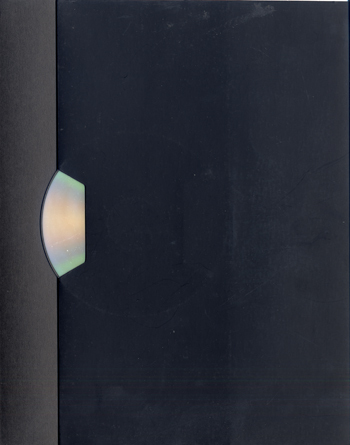 Award for german independent music. “Zukunft Ohne Menschen” (i.e. 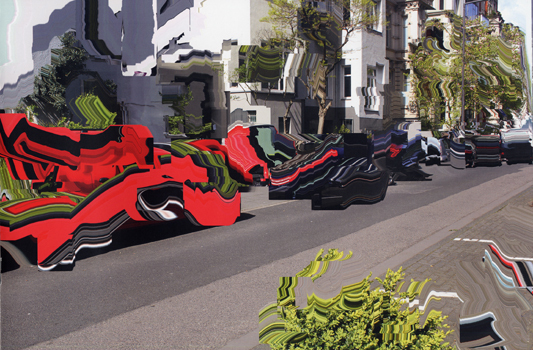 Future Without Humans) documents ten tracks and ten visual art pieces which are part of the multimedia concept for the entrance of the 2013 Art Cologne fair. 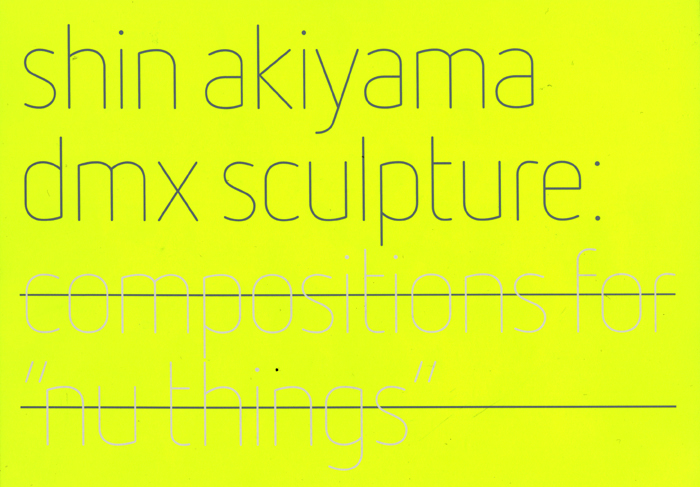 Released in 7,9″ x 12″ hardcover book. 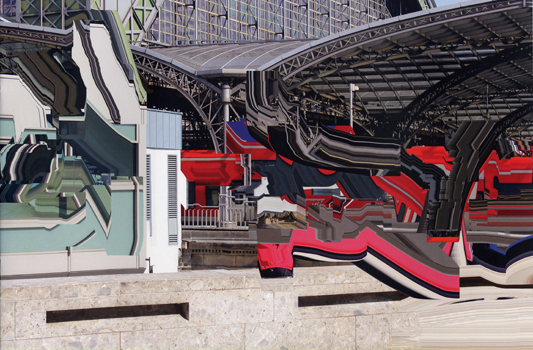 On the occasion of its 20th anniversary, Kompakt 2013 was invited to contribute to Cologne’s highly reputed art fair, Art Cologne. 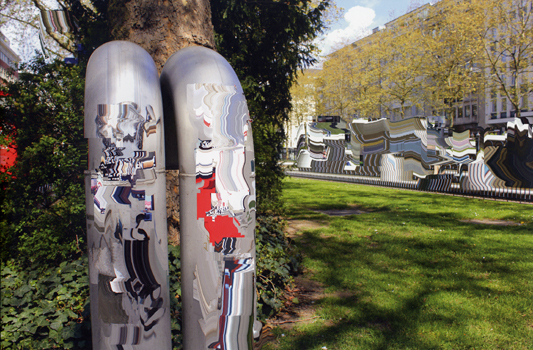 For the event, WOLFGANG VOIGT designed, inter alia, a sound installation situated in the entrance area of the fair. 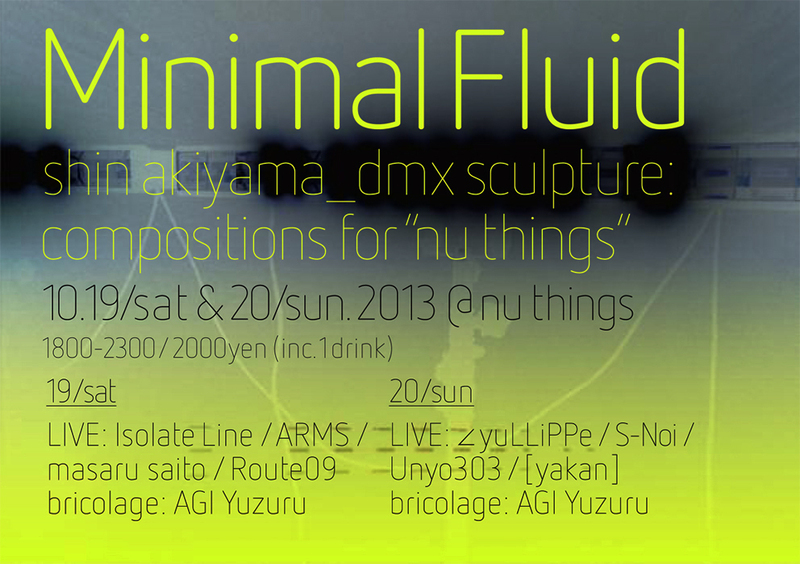 In line with the cool steel and glass architecture, the abstract minimal “machine music” flowed out of the manually operated arpeggiator. 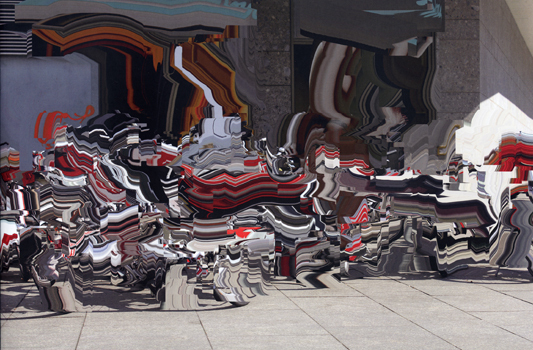 Under the title ” ZUKUNFT OHNE MENSCHEN”, Voigt created a multimedia concept in ten parts, composed of music, videos, and digital painting. 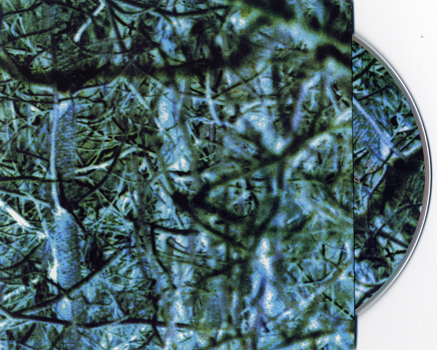 Improvising with virtuosity on industrial sequencer and computer programmes, Voigt created individual sound and visual artwork that comes alive only through the artist’s unique style. The music sounds as if produced by a random generator although it is made by hand, e.g. like a piano. 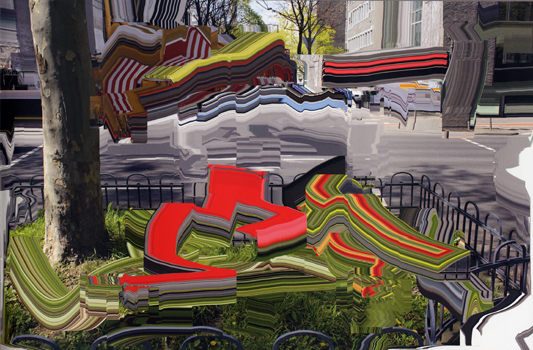 From photos Voigt took in urban environments he erased all images of people and text, using digital paint programmes, and deformed them into abstract art. 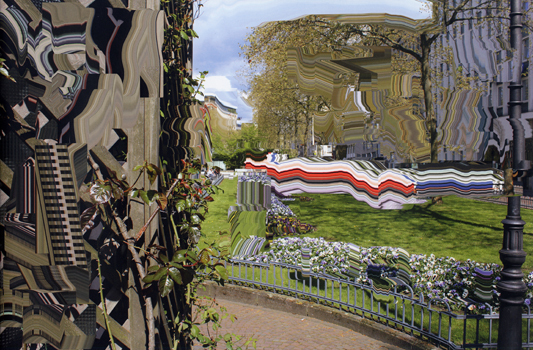 Mechanical painting is the term Voigt uses for this excessive style, in which no real paint flows and everything is revocable. 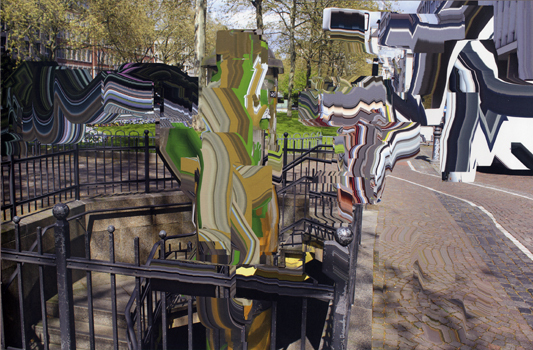 The cursor, recorded on the film whilst painting over the photos, looks like a garden hose out of control, boring through the picture. 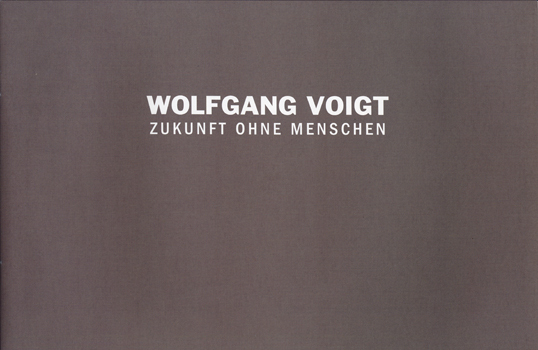 With “ZUKUNFT OHNE MENSCHEN”, Voigt shares a title with a TV docu-fiction, which phantasizes in a not entirely serious manner about the planet’s future following the disappearance of mankind. 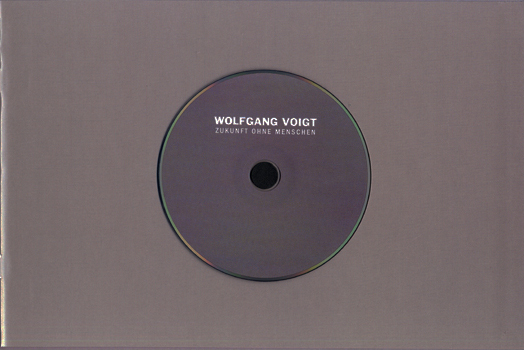 Using “dehumanised” digital machines, Voigt creates a striking acoustic and visual world with an unique artistic signature. The Man Machine 3.0. 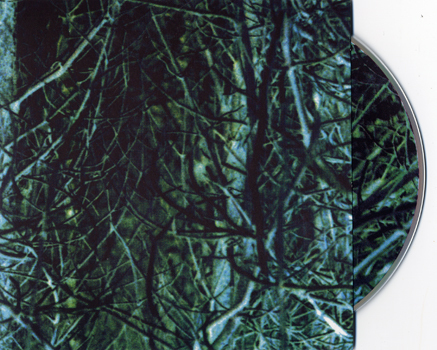 The release, now available as deluxe book-CD format, comprises 10 pieces of music and 10 works of visual art. 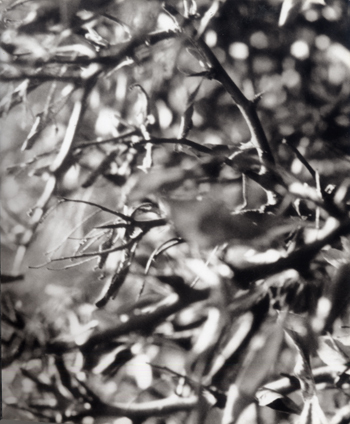 *Released in 128 page bound book featuring photographs and images taken between 1995-98. 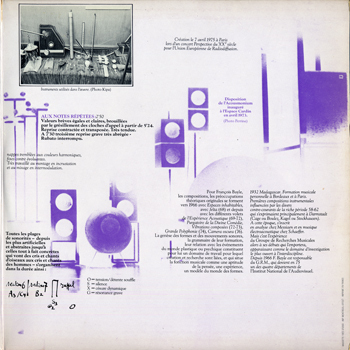 Published by Raster-Noton.Archive für Ton und Nichtton. 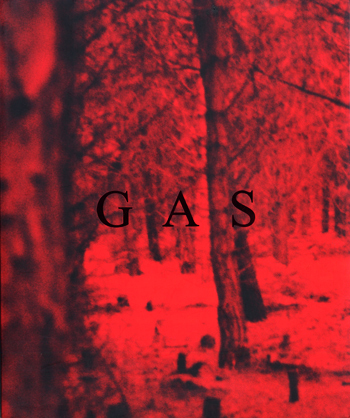 A video sample from Wolfgang Voigt’s former project GAS. 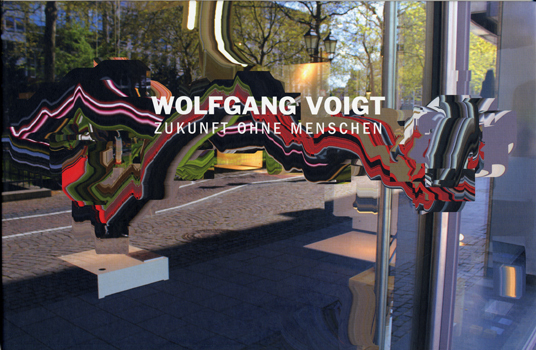 Please visit http://www.Wolfgang-Voigt.com for more art and music made by Wolfgang. 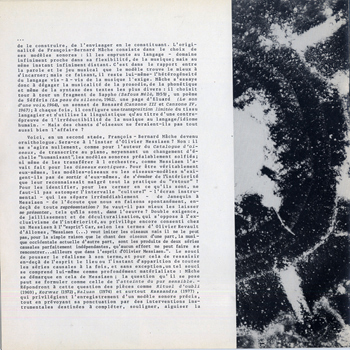 Collection of four Gas albums previously released on Mille Plateaux between 1996 and 2000. 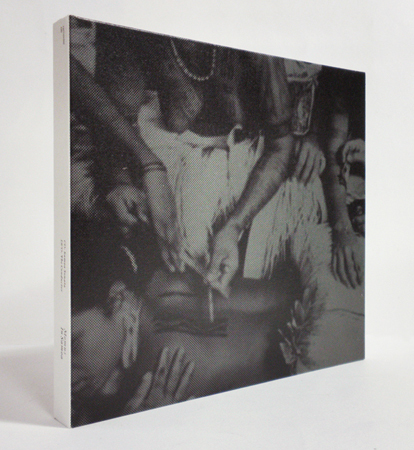 *Issued in a two-part canvas-textured box with artist name embossed on the lid. 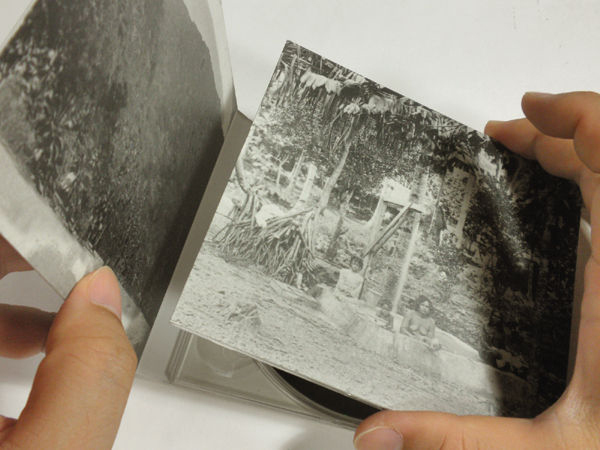 Each CD comes in an individual card sleeve and the box also contains four 12 cm x 12 cm prints. 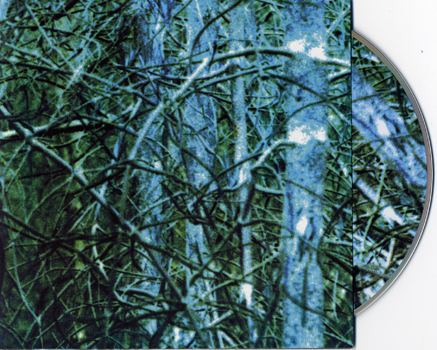 The only text within the box is the album title on each disc. To me, A1 it’s not only the best GAS track ever made; It’s also the epitome, the definitive personification of the GAS sound; Wolfgang Voigt gives his best effort to make such a joyful, unforgettable sound that will remain for the rest of eternity even when we die, because its etereal resonance makes us to comprehend the idea of eternity and greatness. 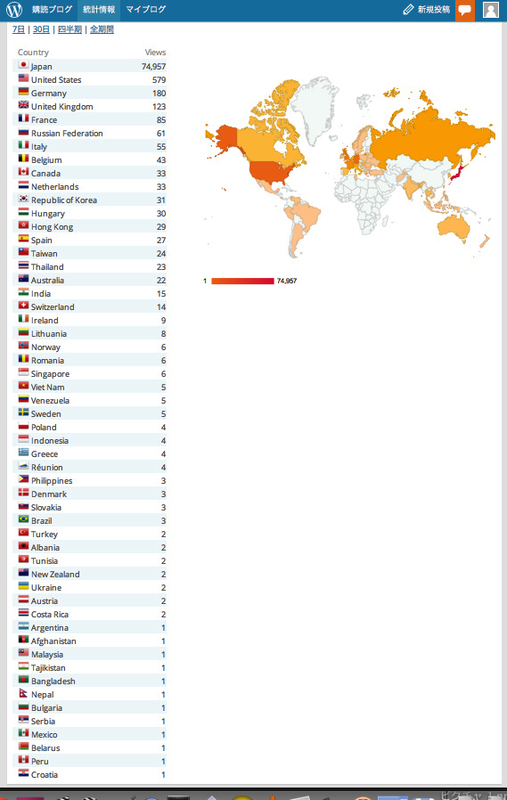 Such is the power of this music. Enjoy. 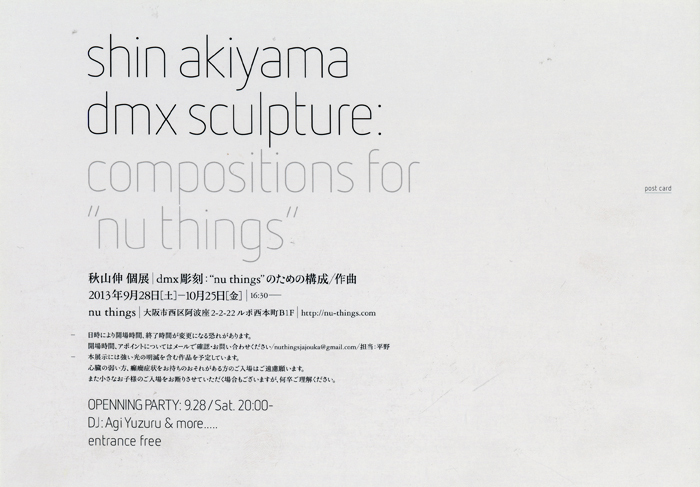 Support any material you like by buying it. 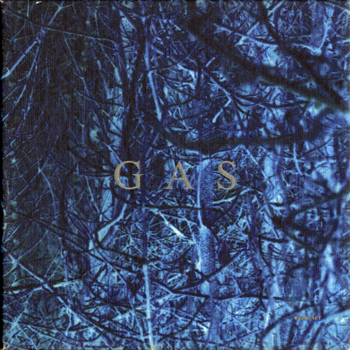 Gas is a project of Cologne, Germany-based electronic musician Wolfgang Voigt. 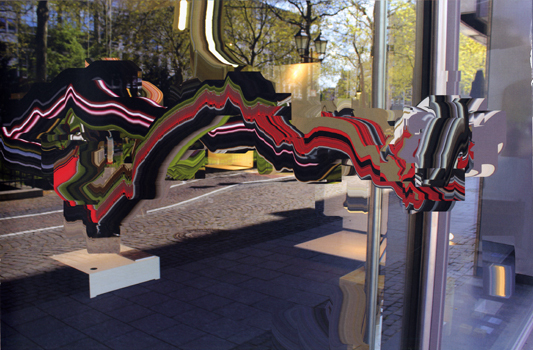 Voigt cites his youthful LSD experiences in the Königsforst, a part of Germany’s black forest situated near his hometown of Köln, as the inspiration behind the project. 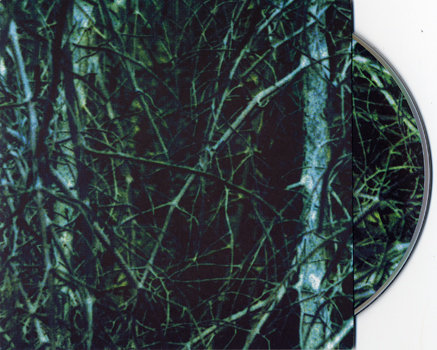 He has claimed that the intention of the project is to “bring the forest to the disco, or vice-versa”. 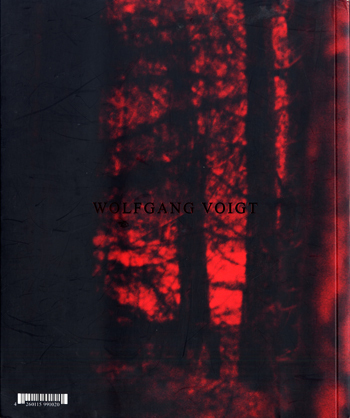 Wolfgang Voigt is an electronic music artist from Cologne, Germany, known for his output under various aliases on a plethora of record labels, including Warp, Harvest, Raster-Noton and Force Inc. 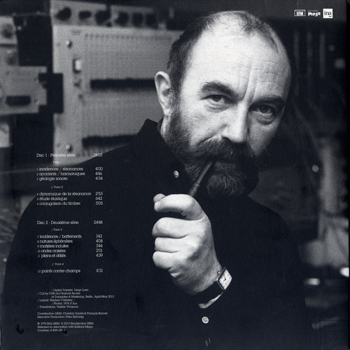 Although widely known as a tireless producer, he is best known for co-founding the influential German techno label Kompakt alongside Michael Mayer and Jürgen Paape. 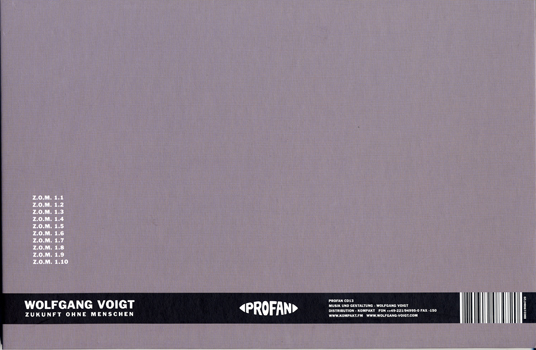 Other names under which Voigt has released music include, but are not limited to, All, Auftrieb, Brom, C.K. 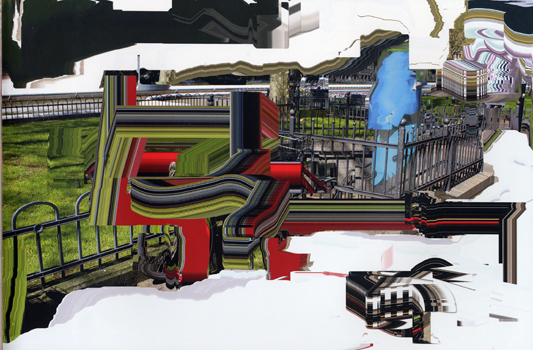 Decker, Centrifugal Force, Crocker, Dextro NRG, Dieter Gorny, Digital, Dom, Doppel, Filter, Freiland, Fuchsbau, Gelb, Grungerman, Love Inc., M:I:5, Mike Ink, Mint, Panthel, Popacid, Riss, RX7, Split Inc., Strass, Studio 1, Tal, Vinyl Countdown, W.V., Wassermann, and X-Lvis. 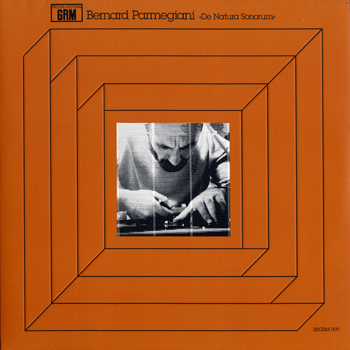 Bernard Parmegiani (*1927): De Natura Sonorum (1975). 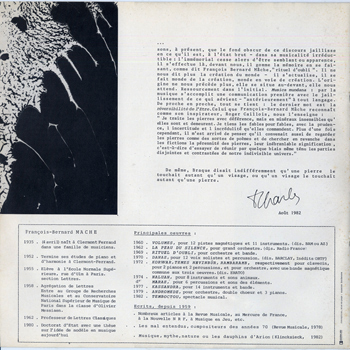 Création 3 Juin 1975, Paris. 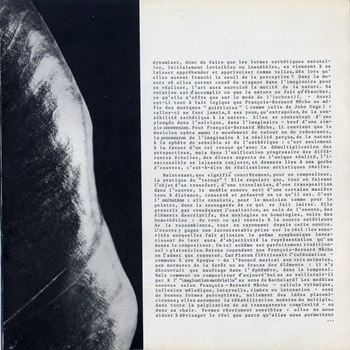 Dédié a Michel Descombey et au Ballet Indépendiente de Mexico. 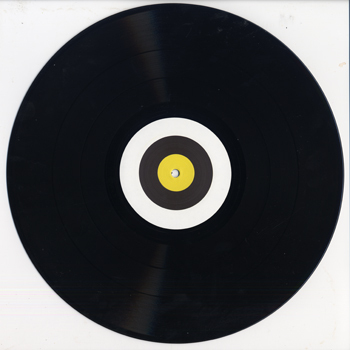 The music published in our channel is exclusively dedicated to divulgation purposes and not commercial. 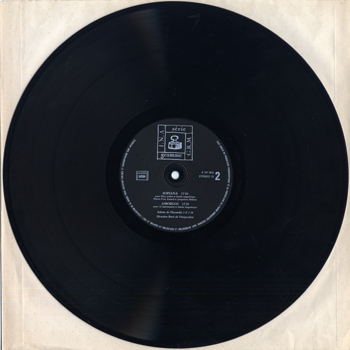 This within a program shared to study classic educational music of the 1900’s (mostly Italian) which involves thousands of people around the world. If someone, for any reason, would deem that a video appearing in this channel violates the copyright, please inform us immediately before you submit a claim to Youtube, and it will be our care to remove immediately the video accordingly. composed in 1975 and premiered June, 3, 1975.
dedicated to Michel Descombey and the Ballet independiente from Mexico. 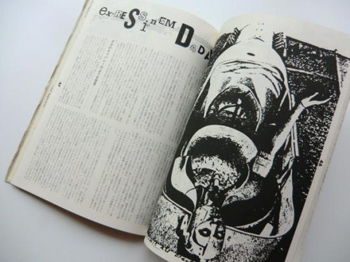 Released in association with Editions Mego. 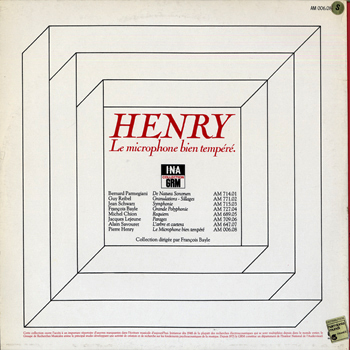 Pierre Henry (*1927): Le microphone bien tempéré (1950/1951). 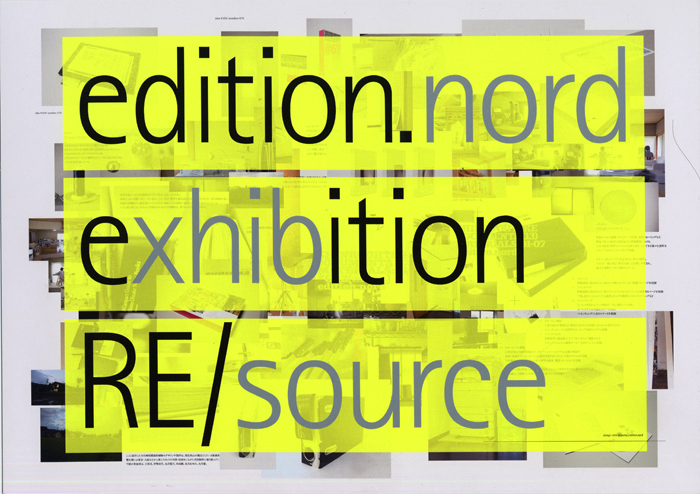 Realizzato nello studio di fonologia dell’ RTF, Parigi. Tempéré, ce microphone? 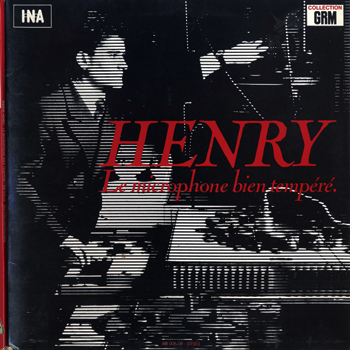 On peut s’interroger sur le titre donné à cette suite de pièces composées entre 1950 et 1951, quand Pierre HENRY faisait ses gammes sauvages de musicien concret, au studio de la RTF. 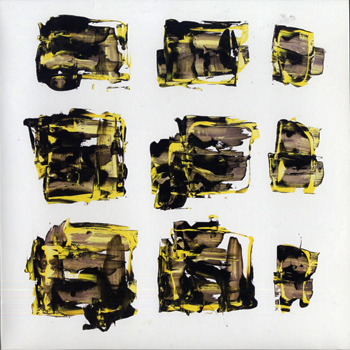 De “gammes” il s’agit bien, puisque le fiano préparé (découvert par l’auteur indépendamment de John CAGE) en était la source sonore non unique, mais privilégiée. 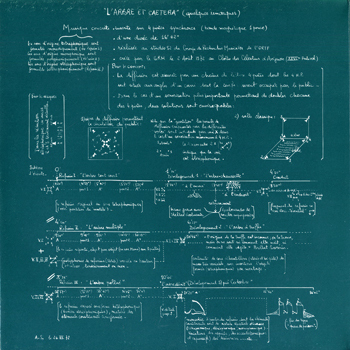 Ainsi ce recueil a-t-il l’unité, que lui confère cette source commune, d’un cahier d”‘études transcendantes”, exploitation et sublima- tion de l’instrument qui justifie la référence à BACH dans le titre. 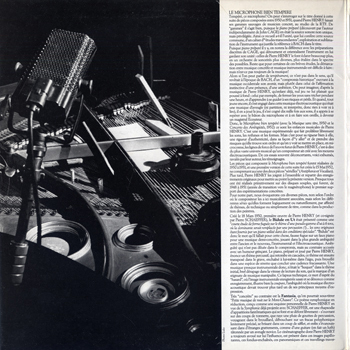 Puisque piano préparé il y a, on notera la différence avec les préparations discrètes de CAGE, qui détournent et orientalisent l’instrument en lui gardant son unité : celles de Pierre Henry le font éclater beaucoup plus, en un orchestre de sonorités plus diverses, plus étalées dans le spectre des possibles. Reste que pour certaines de ces brèves études, la démarca- tion entre musique concrète et musique instrumentale est difficile à faire : mais n’est-ce pas toujours de la musique? 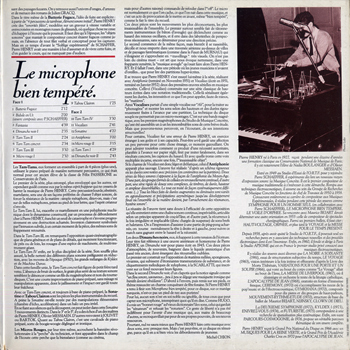 “Le microphone bien tempéré” for tape composed 1950. 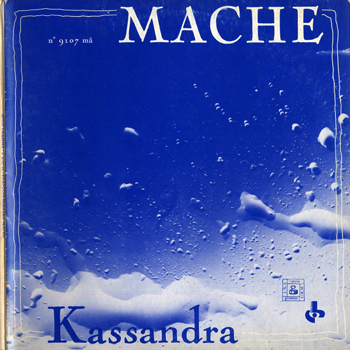 Premiered May, 23, 1952 at Conservatoire de Musique de Paris (Paris, France). 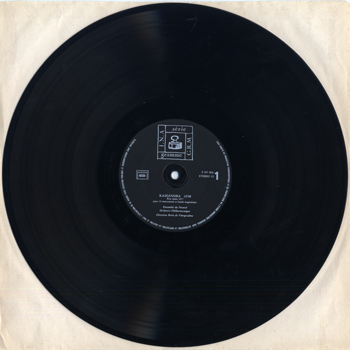 Packaged in a gatefold sleeve and supposedly released circa 1977. 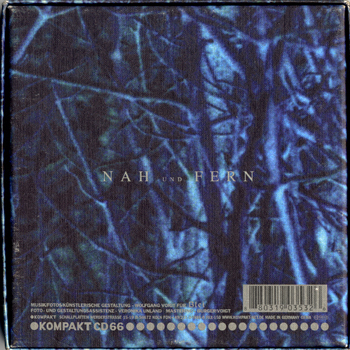 Reissued on compact disc (Philips, 472 201-2, 2002). 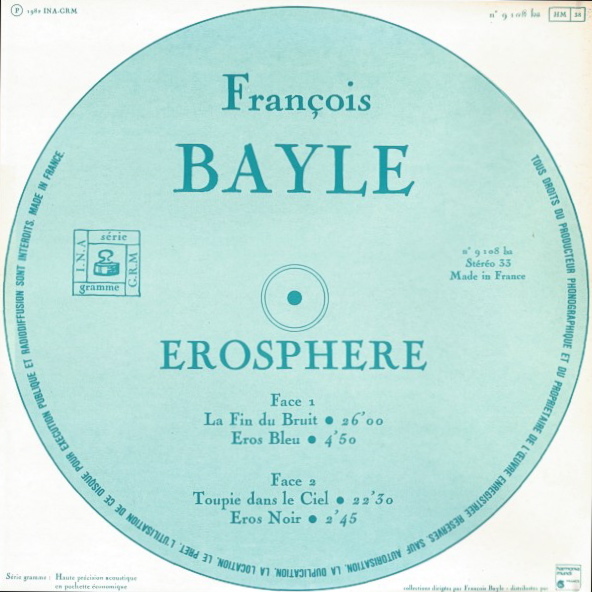 First performed April 7, 1975, Paris for the European Radiobroadcasting Union in association with Perspective du XXe Siècle. 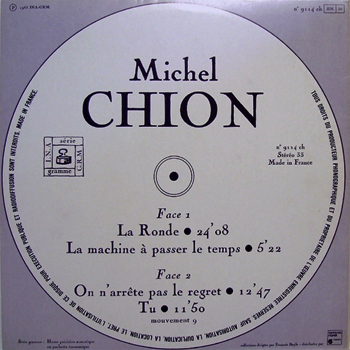 Recorded live during the world premiere at “Grand auditorium de la Maison de Radio France”, January 21, 1980 (Paris, France). 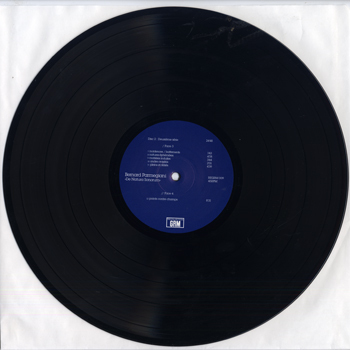 The versions pressed on the record are shortened versions due to limitation format. “La fin du bruit” composed 1978-79. “Toupie dans le ciel” composed 1979. “Eros bleu” & “Eros noir” composed 1980. 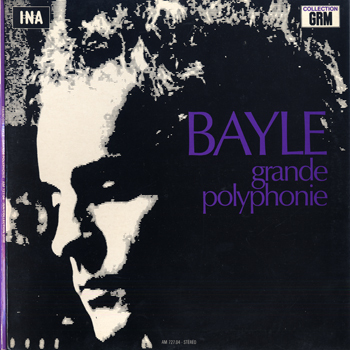 “Série gramme : haute précision acoustique en pochette économique” (Serie gramme: high acoustic fidelity packaged in an affordable sleeve). 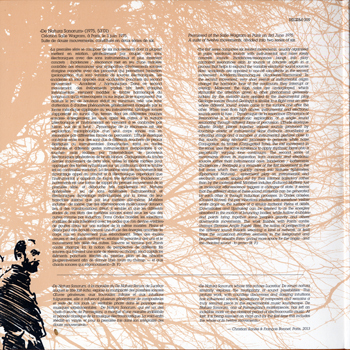 Exclusive gatefold sleeve conceived by Bayle/Marinelli. 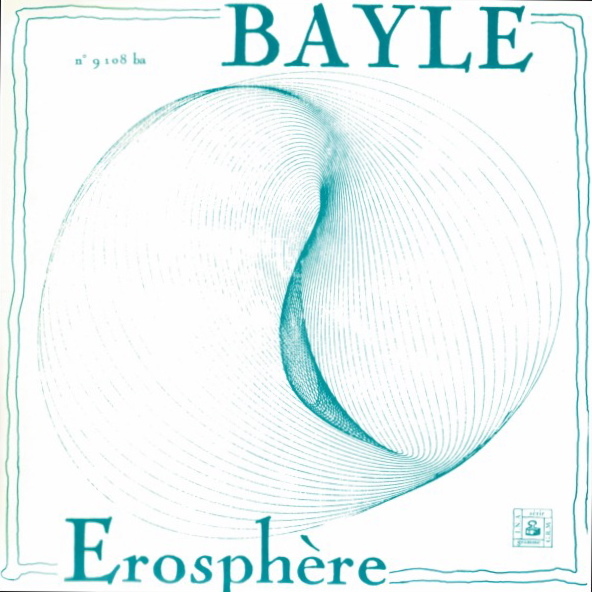 Collection directed by François Bayle. 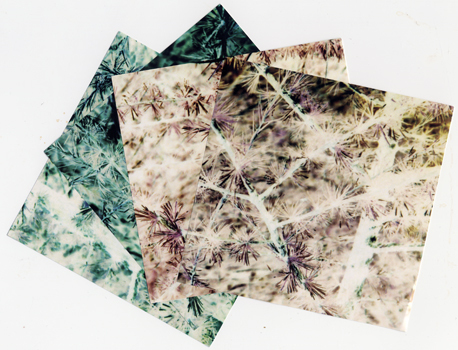 Printed at Polygram Montreuil-offset, France. 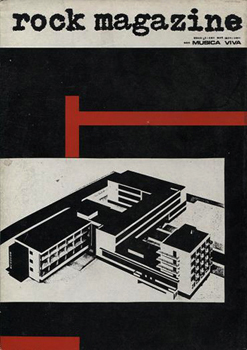 First edition has the generic one-colour cover with the logo of the collection Gramme. 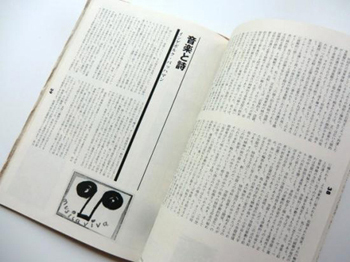 Second edition has an illustrated cover. 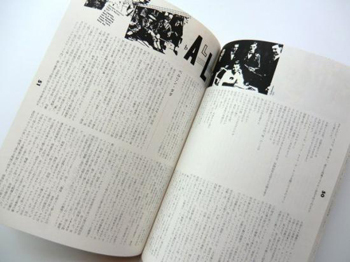 Includes two 12″/12″ blank & white booklets, one 8-page with pictures and texts in French, and a 4-page with translations in English and German, without pictures. 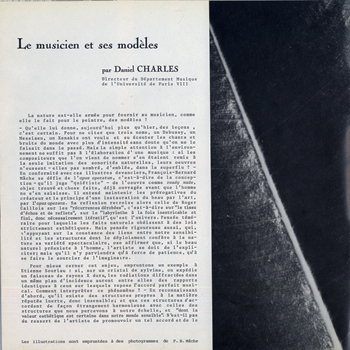 Liner Notes – Daniel Charles, F.B.M. 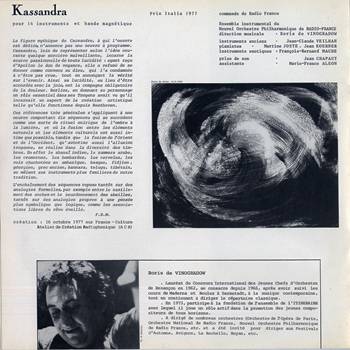 “Kassandra” pour 14 instruments et bande magnétique – Prix Italia 1977 (Editions du Mordant); premiered 16 October 1977 at France-Culture Ateliers de création radiophonique, commissioned by Radio France. 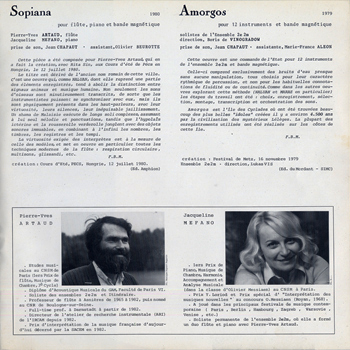 “Sopiana” pour flûte, piano et bande magnétique (Editions Amphion); premiered at Cours d’Eté, PECS, Hongrie, 12 July 1980. 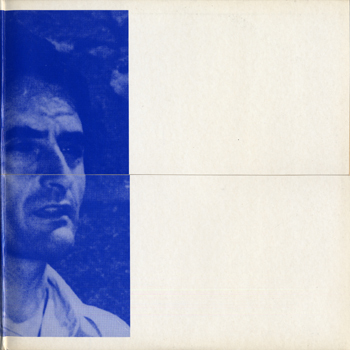 “Amorgos” pour 12 instruments et bande magnétique (Editions du Mordant); premiered at Festival de Metz, 16 November 1979 by Ensemble 2e2m directed by Lukas Vis. 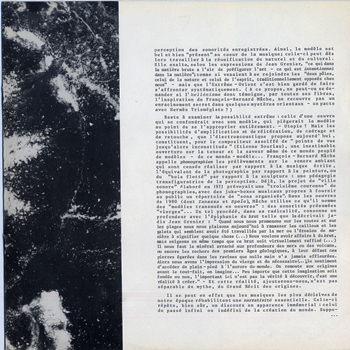 Packaged in gatefold sleeve, includes an 8-page 12″/12″ black & white booklet with pictures and texts in French. 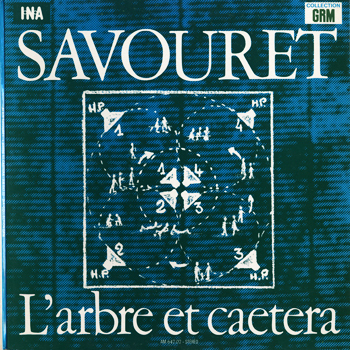 L’arbre et caetera for tape realized at studio 52 of Groupe de recherches musicales de l’ORTF. 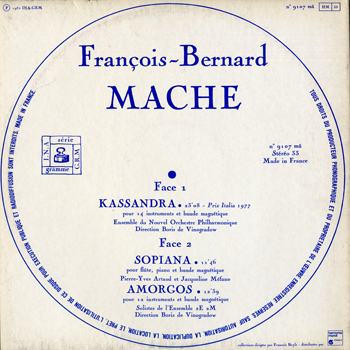 Premiered August 2, 1972 at Cloître des Célestins during the 26th Festival d’Avignon as a tetraphonic work. The version of L’arbre et caetera presented here is the stereophonic reduced version. 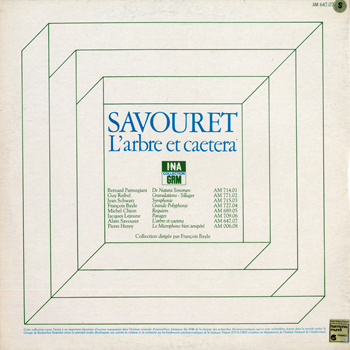 Alain Savouret: L’arbre et caetera, for tape realized at studio 52 of Groupe de recherches musicales de l’ORTF (1972). 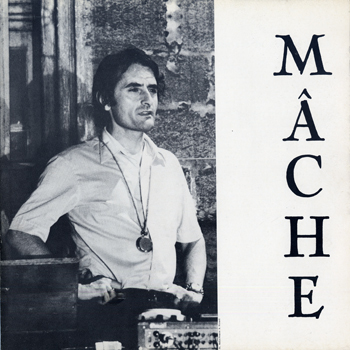 Premiered August 2, 1972 at Cloître des Célestins during the 26th Festival d’Avignon. 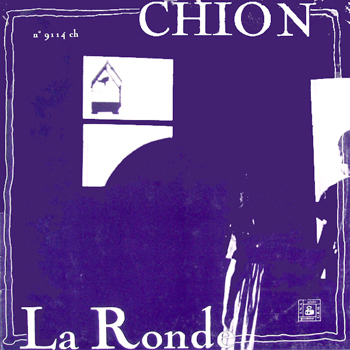 “La Ronde” suite in ten movements composed in 1982. 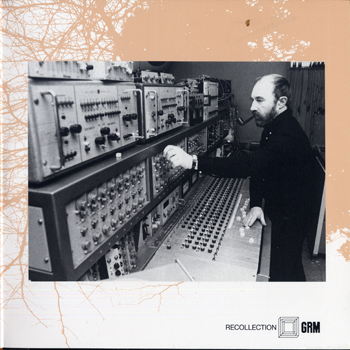 Realized in INA-GRM studios (Summer 1982). 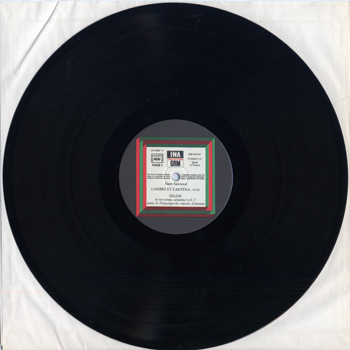 “On n’arrête pas le regret” composed in 1972. 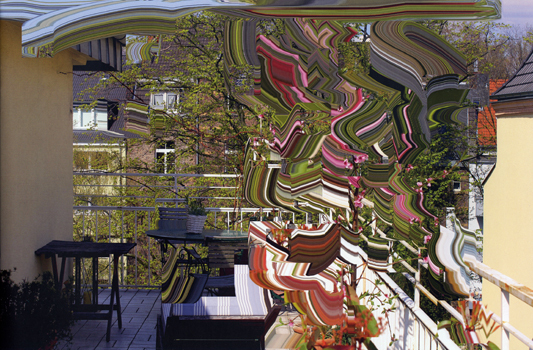 Commissioned by INA-GRM and realized in INA-GRM studios. 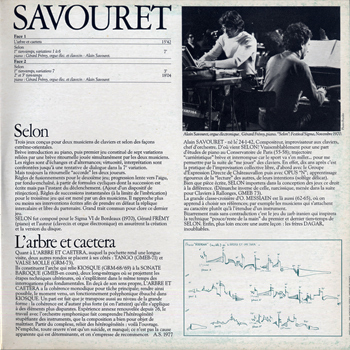 “Tu” (Mouvement 9) composed in 1981. Commissioned by INA-GRM. 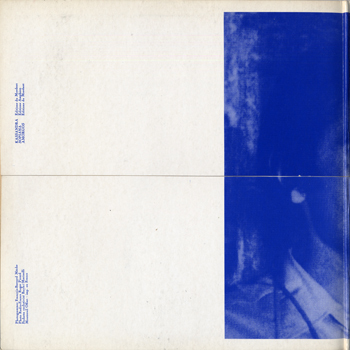 Includes three 12″/12″ blue-indigo & white booklets, one 8-page with pictures and texts in French, a 4-page with translations in English, without pictures, and another 4-page with translations in German, without pictures. 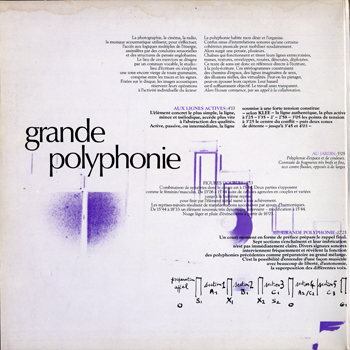 Groupe de recherches musicales (GRM) is a pioneering French public centre in electro-acoustic research operating from Maison de Radio France in Paris and commissioning music works, developping compositional tools, promoting electro-acoustic music through radio, concerts, records, books and the internet. 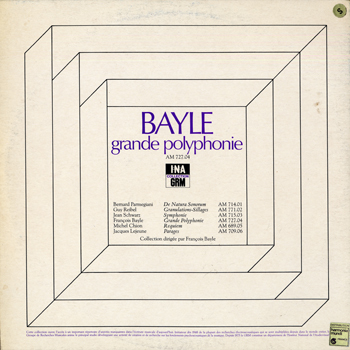 Collection (1978-1983) directed By François Bayle of vinyl records packaged in exclusive gatefold sleeve designed by François Bayle with Gérard Marinelli, also including an illustrated booklet.